From today Google brings you around the galaxy! The new features of Google Maps. 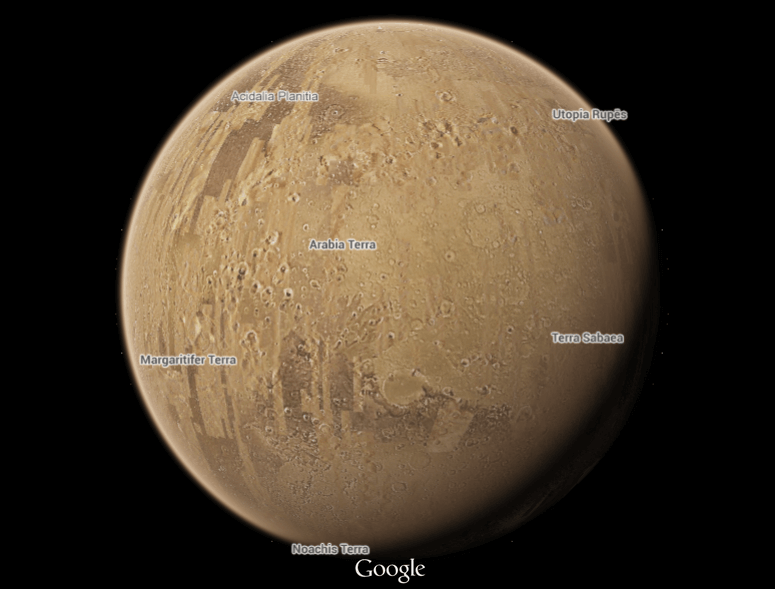 Share the post "From today Google brings you around the galaxy! The new features of Google Maps." You’ve probably used Google Maps to preview vacation destinations on this planet, but the newest locales added take you on an out-of-this-world escape. Maybe you’d rather visit frozen Enceladus than stay at a ski resort. The methane waters beneath Titan’s thick clouds are certainly a change from your typical beach weekend. If you prefer to venture into the eldritch darkness, go on a virtual expedition to Pluto’s Chtulhu region, a shadow land whose icy wastes and menacing craters make it appropriately intriguing. For those looking for something a little less exotic, there’s always the moon. A few years ago, Google gave people the ability to freely explore objects in space — but that experience was mostly locked up in “Google Earth”, the company’s 3D-mapping software. 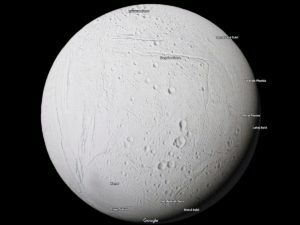 Just in the last few days, however, the company announced that users will be able to benefit from a new Google Maps feature, called “planets”, and this will refines their knowledge of the solar system. 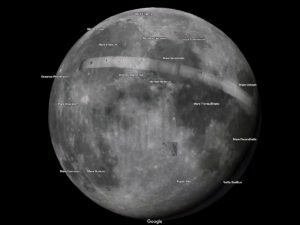 Infact, Google announced it partnered with NASA and the European Space Agency to be able to generate the new detailed maps of Venus, Pluto, and many of Saturn’s moons. To be exact There are now 17 different planetary maps to look through. It’s finally possible to across the galaxy in a few seconds and directly from your pc to discover planets, moons, dwarf planets and on top of that virtually visit the international space station from which you can admire the space just as as a real astronaut could see it. Up to this point is the most visited, since it is the one that has the highest number of high quality images. If you know where to look you can even track down moon landing sites, like this one of Apollo 15. 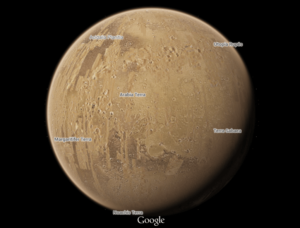 Peppered with volcanoes, deep canyons, and robotic probes, the red planet is easily the most fun to explore in Google Maps. The canyons are the deepest in the solar system. And if Elon Musk and SpaceX have their way, we may someday be able to explore them for real. This ice ball that orbits Saturn looks unassuming, but it is one of the most exciting destinations in the solar system right now. NASA has repeatedly photographed and flown through water jets shooting out of these “tiger stripe” features on Enceladus’ south pole. That warm, salty water indicates the moon has an ocean that might be habitable to alien life. Until July 2015, no one knew what Pluto actually looked like. But the New Horizons mission changed all of that with a high-speed flyby — and discovered the distant, icy world even has an ocean hiding below its surface. Visuals of the terrain are available along with labeled craters, mountains or plains. 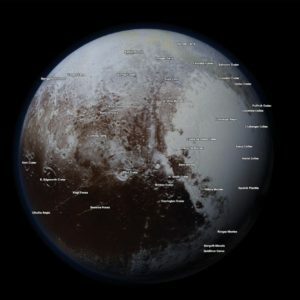 Pluto is the one with the smallest amount of information, with about a third of yhe surface missing of any identifier or display. In this way, while you obsess over how unearthly things like this actually exist, you might also geek out about how many distant moons and planets take their names from mythical entities. Just click on any name to see its origin as you explore space from your laptop. The Rusalka region of Titan is named for the undead water nymphs of Slavic folklore that was have believed to drown people in despair who got too close to a river or lake. Mimas is a crater-covered storybook of names from Arthurian legend, and Europa’s Annwn region is named for the Otherworld in Welsh mythology. No one can guarantee eternal youth if you stare at Annwn long enough, but it definitely is otherworldly. Though the project hasn’t yet evolved into something like Google Earth, which lets you see any location in the world in exact detail (and is admittedly sort of creepy), the project is evolving very quickly thanks to the hard work of the google staff. To be precise, all this was possible thanks to half a million images taken by spacecrafts including the Cassini probe, as well as those provided by astronomical artist Björn Jónsson, along with photographs from NASA and the European Space Agency and this this is why the announcement by the company came on the occasion of the twenty-year of Cassini mission to Saturn.If we want to find the weak point of the project, which is still in the process of being perfected, we can say that the mechanism is not very clear and simple to use, infact There’s no search box within “Planets,” so it’s difficult to, say, find the Apollo mission landing site on Earth’s moon. The maps also restrict the degree to which you can both rotate and zoom in on a world, especially at the poles.Furthermore this new feature can be difficult to find if you do not have a direct connection. You have to go to Google Maps and use the zoom (clicking the less sign) until you can see the entire Earth planet in space. Switch to “satellite view” in the left corner. A list of planets and moons that you can explore at this point should automatically appear on the left side of the screen.The feeling is that the company has placed a lot of ambition in this project and will continue to perfect it over time, serving users a sensational instrument and, until a few months ago, unimaginable.